The skies are much safer now that your son or daughter is a member of the U.S. Air Force. Proudly display a patriotic photo or graduation day photo in your own Patriotic Personalized Wood Picture Frames. 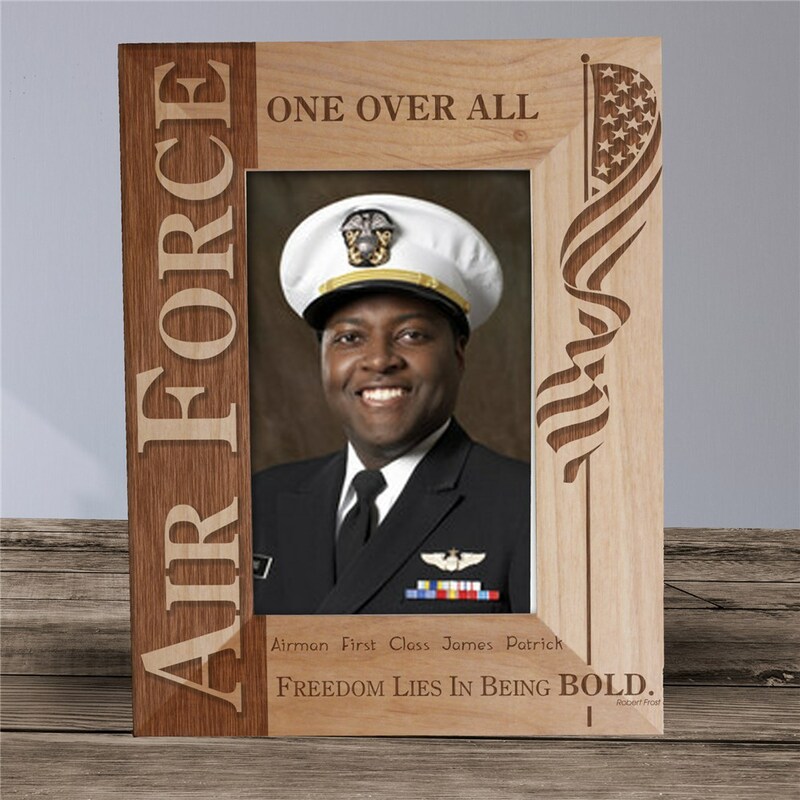 Our U.S. Air Force Personalized Wood Picture Frames measure 8 3/4"x 6 3/4" and holds a 3½" x 5" or 4" x 6" photo. Easel back allows for desk display. Includes FREE Personalization! 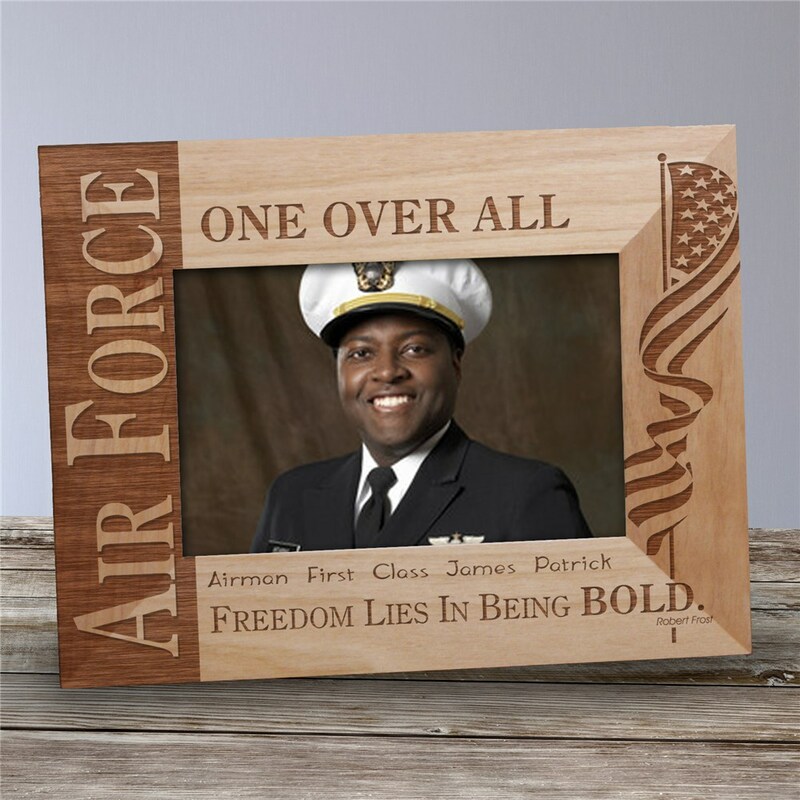 Personalize your Air Force Picture Frame with any title and name. Personalized Frame available in horizontal or vertical presentation.